Aerification. It's a word no golfer wants to hear because it means their favorite course is going to be a little bumpy for a few weeks. But it's a beautiful thing that keeps courses looking good year after year. 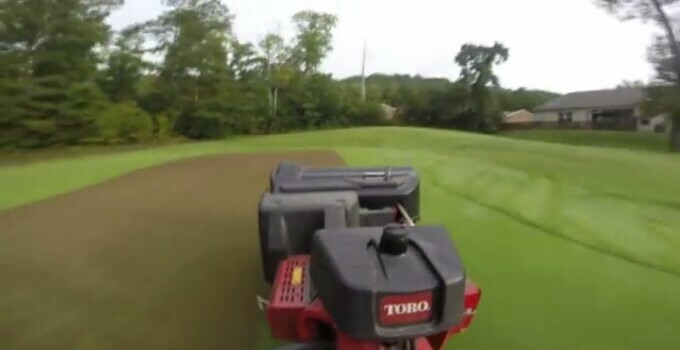 The team at Knoxville Municipal Golf Course in Tennessee wanted to give you a different perspective on punching holes, so they strapped a GoPro camera on the back of the equipment and filmed the process of aerifying a green.